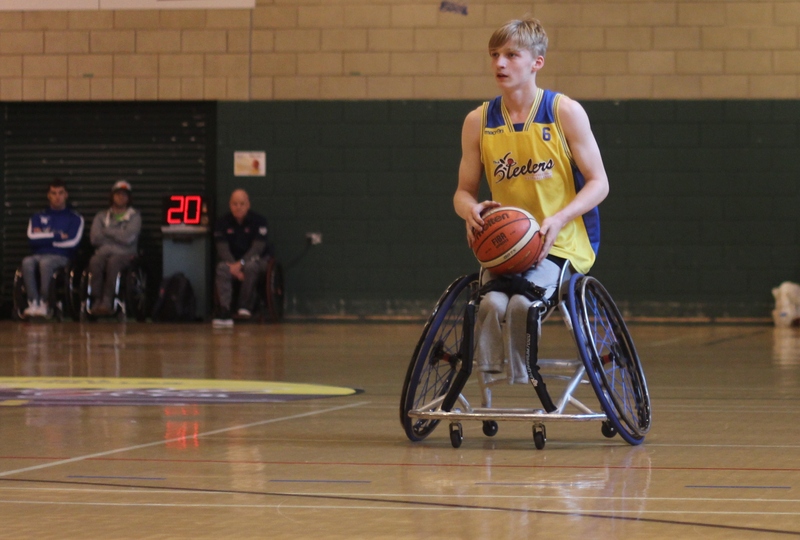 Clubs, players, officials and volunteers from across the country came together this weekend for British Wheelchair Basketball’s annual club conference and national awards ceremony. A night of celebration and emotion marked British Wheelchair Basketball’s third annual Richard Langhorn Trust National Basketball Awards 2017. The awards began with an emotional tribute and presentation of a BWB Our Heroes Medal to one of the sports great figures Steve Spilka who, after thirty years in wheelchair basketball, has decided to retire ahead of the 2017/18 season. As he collected his medal Steve received a standing ovation from his peers, all of whom are aware of his impact on their own personal wheelchair basketball journey and his lasting legacy to the sport. Others honoured at the awards included Scott Wallace, U23 Junior Men’s Head Coach and Head Coach of the Invictus Games Wheelchair Basketball Team – he won the Development Coach of the Year Award. Earlier this summer Scott led the GB junior men’s team in their historic U23 World Championships gold medal win, and in September he will be heading out to Toronto for the third Invictus Games. Following an incredible 2016/17 season The Coventry Wheelchair Basketball Academy was crowned Club of the Year. Highlights of the Club’s year included both their women and second division teams winning the National play-offs in June, and their First Division team completing the season at the top of the table in the South pool. The awards evening culminated in the presentation of the Services to Wheelchair Basketball Award to Ann Wild OBE, and fittingly presented by her Paralympics 1996 Coach and BWB Chair Paul Hudson. A true pioneer of para and women’s sport, Ann is a five time Paralympian, competed in five European Championships and four World Championships. She was the first female player to play competitively in the British Wheelchair Basketball National League and the first female coach of a premier division team. Although Ann has taken time away from the game recently, she has remained actively involved with the education and university programme, coaching UEL at the 2017 University Championships in March. On accepting her award Ann said “It is such an honour, and very humbling to be awarded Services to Wheelchair Basketball by BWB. I’ve been involved in the sport for so long now, it’s a real honour to be involved with this group of people, this family.